Unconventional country girl Sidonie-Gabrielle Colette has married a charismatic egomaniacal man of letters, 14 years her senior, known by the single name, Willy. Through his auspices, Colette is introduced into the fecund world of the artistic demimonde in Paris where her creative appetite is sparked. Ever quick to capitalise on talent, Willy permits Colette to write her novels only if she does so in his name. The phenomenal success of her Claudine series makes Willy a famous writer and Colette and Willy the first modern celebrity couple. Although they are the toast of the town, lack of recognition for her work begins to gnaw on Colette. Their marriage starts to internally combust – but emotionally and artistically, she cannot break free of him. On a downward slide, Willy resorts to increasingly desperate measures to pay his debts and sabotage his wife but Colette is developing resources of her own. 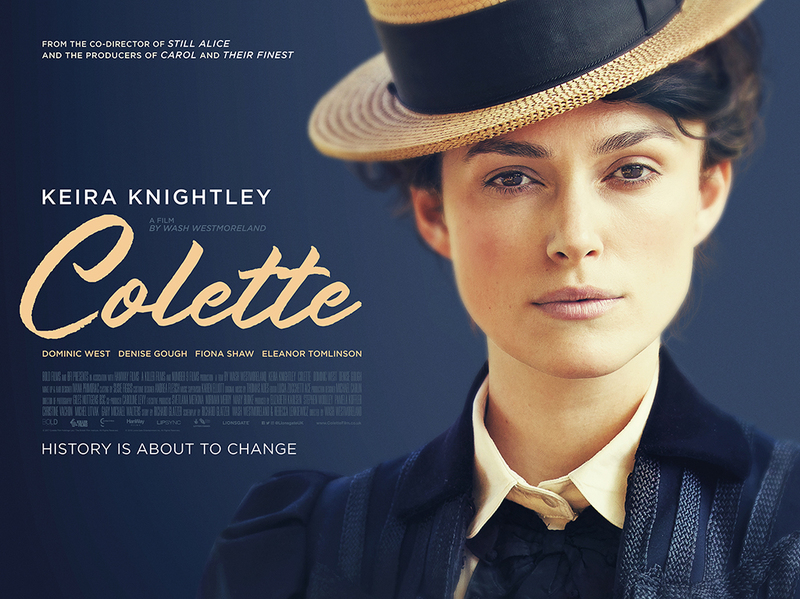 Set at the dawn of the modern age, COLETTE is the story of a woman who has been denied her voice by an overbearing man, and who goes to extraordinary lengths to find it; a battle of the sexes at the very beginning of the modern age, when seismic shifts were taking place in the roles of men and women. More than a century after the publication of her first novel, Colette is still one of the best-selling, and beloved, French authors.